While some would say that you get the best experience in a shooting game when you play with a mouse and keyboard there are those that like the convenience of a controller. It is possible that you are actually used to a controller and console gaming in general. This is especially true if you have not been gaming on a PC all your life. 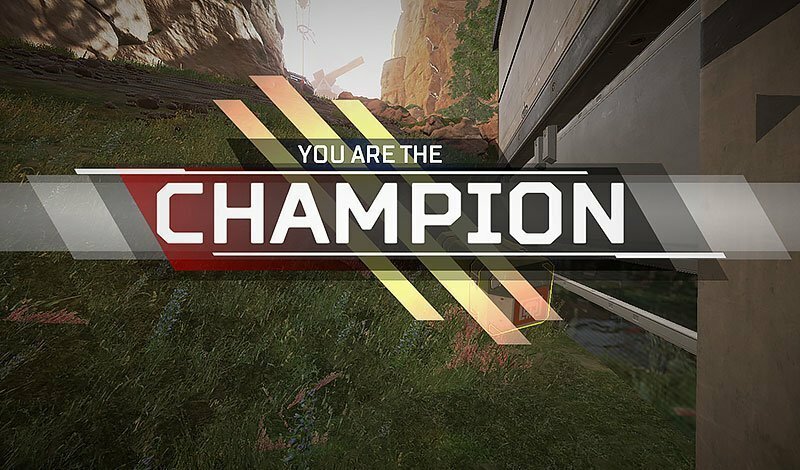 If that is the case and you are interested in playing Apex Legends then you have come to the right place. Here we are going to look into some of the Best Controllers for Apex Legends on PS4, PC or Xbox One. The following are the different gaming controllers that we are going to look into. You have probably noticed an overwhelming amount of controllers and having a hard time choosing a pair. Finding an ideal gaming controller is not an easy task. Now, that all things are sorted out. Let’s move forward to the bigger picture, reviewing the top gaming controllers currently on the market. The Xbox One Elite controller is a more advanced controller for the Xbox One by Microsoft. It comes with a couple of customization options including swappable joysticks and the ability to change the D-pad. 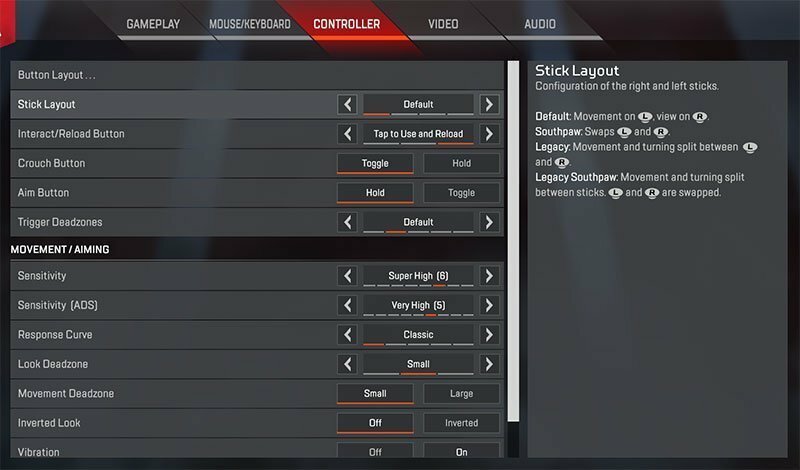 You also get some extra triggers at the back for FPS games such as Apex Legends. Not only is it compatible with Xbox One but with PC as well. You can use it with a USB cable or wirelessly with an adapter, which is sold separately. If you want a better controller than the regular Xbox One controller then this is something that you can look into. The additional buttons are great and you can change the default controls with this controller. The build quality is great and you will feel the difference when you have it in your hands. The design is similar to the standard controller so if you have used it then this is going to feel similar but the materials used are even better and the design is sleek and clean as well. The controller has some added weight compared to the regular one and this gives you a premium feel. While this might not be as great as the version from Razer, it is a major upgrade when compared to the standard Xbox One controller. All this does come at a cost and the price is much higher than the regular controller. Whether or not it is worth it comes down to your personal preference and how you spend your money. You really do not need any additional controller when the company gets it right itself. The DualShock 4 controller is great to play games with and the grip is impressive as well. The standard controller that you get with the console is pretty simple but it functional. The design has been perfected over the years and it doesn’t really get much better than this. 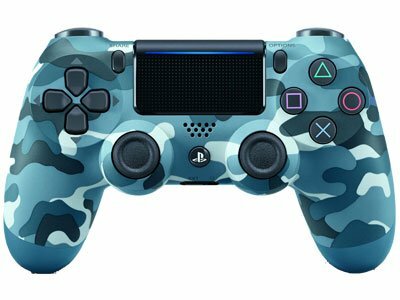 The DualShock controller might be the standard controller that you get out of the box but it is ideal for playing Apex Legends on PS4. The grip is great and the ergonomic design makes playing competitive games very easy. If you are not interested in spending too much money on a controller then you can stick with this trusty old guy. The controller is compatible with PS4 and there are ways to get it working on PC as well. The buttons are pretty standard and there is no fancy RGB lighting but I know that there are people that avoid that kind of bling. The wireless connection is very good and the connection with PS4 is seamless. The controller is available in a couple of different colors. Just like the DualShock 4 controller is the one that comes in the box with the PS4, this is what you get with Xbox One. 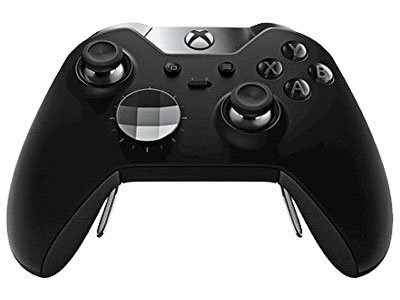 The design has been improved over the years and the latest model comes with better grips and Bluetooth capability so that you can connect it wirelessly to not only the Xbox One but your PC as well. The Xbox Wireless controller comes in various colors and there are some special edition options as well. If you are looking for a controller for Xbox One or PC and are not interested in spending too much money then this is a great option to consider. It has a couple of features that the older versions do not have an this can be a great upgrade if you have an older model. The changes are subtle but worth it. The new model also comes with a 3.5mm jack in which you can plug in your headset. You also have button mapping capabilities. All this makes it a great option if you have an older model. All things considered, this is a great controller if you are not interested in spending too much money. The Razer Wolverine Ultimate is one of the best Xbox controllers on the market in 2019 for Xbox One. Razer is known for making great gaming gear and here we have another example of just that. The design is similar to the Elite controller but has the Razer twist. It comes with RGB lighting and some of the buttons are interchangeable as well. The Razer Wolverine Ultimate is a great controller for Xbox One and PC. If you already have Razer gaming gear then you can pick this up as well. It is much better than the standard Xbox One controller and the Elite controller. Another interesting feature is that you can map the different buttons according to the game that you are playing and your personal preferences. You are not bound to the default controls when playing Apex Legends. The controller is made from quality materials and the controller is easy to hold and intuitive when gaming. The textured grips ensure that the controller is in your hands and does not slip. The controller is compatible with Xbox One and PC. It comes with Razer Chroma lighting so you can customize that in order to match the lighting with the rest of your gaming gear. Keep in mind that this is a wired controller and if you are looking for a wireless one then you will need to check out the other options on this list. The Wildcat is another Xbox controller from Razer but this one has a rather crazy design but does not come with RGB lighting. I know that some people do not like RGB so this is something to consider if you feel that way about RGB. The controller comes in Black in Green, the iconic Razer theme. This is a great controller and for some people, it is going to be better than the standard Xbox One controller. It is priced accordingly as well. If you are interested in a better controller and can spend some more money then this is an option that is worth looking into. Other than the regular buttons, you get 4 extra ones that can be mapped according to the game that you are playing. It is designed with eSports players in mind and feels great to hold. There are some dedicated media buttons that allow you to tweak some settings without leaving the game. The build quality of the controller is also very impressive. The only drawback here is that this is a wired controller and you cannot use it wirelessly. Here is another budget-friendly option if you are looking for an inexpensive controller fo your Xbox One or PC. The controller comes in White and has a 3.5mm jack in which you can plug in your headphones. This is a wired controller but the cord is pretty long at almost 10 feet. This is an officially licensed product so you can rest assured that it is going to work just fine. The design is similar to the regular Xbox One controller but because it is not wireless the price is a bit lower. This is a great controller if you are on a budget or are not interested in spending too much money on a controller. If you are interested in playing Apex Legends then this will get the job done pretty easily. Amazon offers a one-year limited warranty on the product so you can rest easy if anything goes wrong in that time frame. If you have used an Xbox One controller before then this is going to feel very familiar. This is a great option to consider if you need a new controller but are not interested in spending too much money. This is a premium controller from Razer for people that have a PS4. The controller offers a lot of customization options and comes with a hair trigger mode as well. Not only can you use this controller with PS4 but you can also use it with our smartphone. 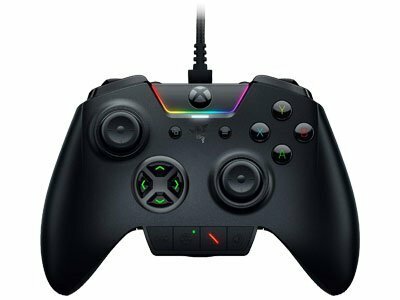 The Razer Raiju is a premium controller and comes with a premium price tag as well. If you are looking for a something that is better than your standard PS4 controller or if you have larger hands and want something a bit more comfortable then this is something that you can look into. It comes with a mount on which you can install your phone. The controller is great to hold and the grips are pretty impressive as well. There is a mobile app as well which can be used to change different settings and customize your experience. The following are some of the settings that you should change when playing Apex Legends on console. Some of these can be used on PC as well. While this might seem like a minor thing, the field of view can be hindered with clutter. If you are a beginner then you can leave this setting at default but if you are an experienced player then you should opt for the compact option when it comes to Interactive Prompt Style. This will decrease the distractions on the screen and give you a better field of view. You should have this setting on floating. This will give you the amount of damage that each of your shot deals. The default setting is Stacking which will give you the total number of damage that all your shots deal. If you have already played games like Fortnite then the floating damage numbers setting is what you will already be used to. Make sure to make this change in order to know exactly how much damage you are dealing. When you deal damage to the enemy you see how much damage you have dealt in different numbers. Golden numbers indicate headshots and other colors show the different kinds of shields. If the number is red then that means that the enemy no longer has a shield. You can push once you see this but it will depend on the different situations in which you find yourself. This is the speed at which the game registers movement of the reticle relative to you moving the joysticks. This can be considered as sensitivity as well. You should keep this setting at classic. This might not seem like a major setting but keep in mind that in Apex Legends you can empty a whole clip into an enemy so every second is going to count. If you have an older controller then you might see that your character moves even when you have not moved the thumbsticks. If that is the case then you can change this setting to large and the problem should be solved. If not then you might need to get a new controller. This setting determines how much of the map you can see on your screen. You should keep this at the max, which is 110. This should give you as much information regarding what is going on around you at any given time. This is an option that you can play around with in order to see what matches your play style and preference but let me give you a general guide. 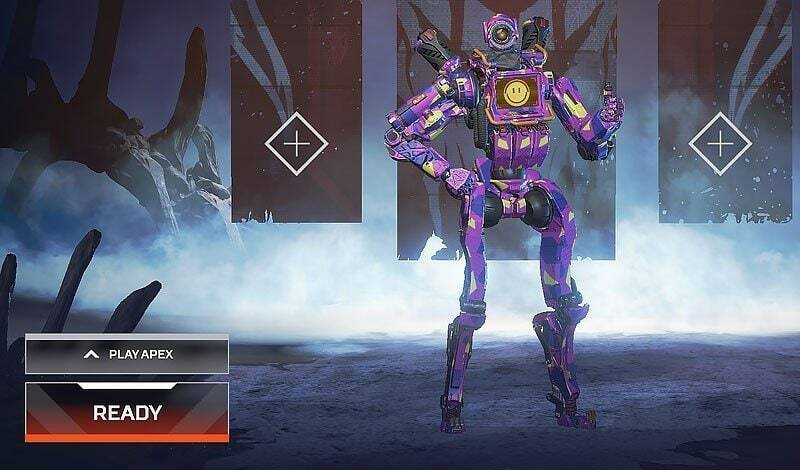 There are two sensitivity settings that you can play with in Apex Legends. One is a general sensitivity and the other is the aiming down sights sensitivity setting. You can set the general sensitivity to high. Doing this will let you move much quicker and increase your response time. It will take some getting used to and you will need some practice. You might be more comfortable at a higher sensitivity and it can differ from person to person. The aim down sights sensitivity should be a level lower than the general sensitivity. This will make aiming down sights feel a bit slower but you will be able to hit enemies that are in mid to long range a lot better. Give it a try if it sounds too good to be true. When playing on a controller you do get haptic feedback in the form of vibrations. Some people like this effect but there are others that feel that this feature gets in the way of accuracy. If you are torn between the two then you should try turning the setting on and off. See which one works better for you. It is possible that you like the vibrations and that they do not interfere with your aim. You might learn that turning the setting off can actually lead to better aim. To be on the safe side you would be better off turning this setting off. Unless you are only playing with a controller for the vibes. 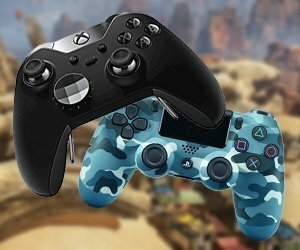 Here we have looked into some of the best controllers that you can buy right now for playing Apex Legends. Some are more expensive than others and offer additional features while others are relatively inexpensive and basic. Look for what you need and get the controller accordingly. If you do not need additional buttons then you do not need to spend the additional money on something that you do not need or are not going to use. Remember that cost can have a correlation with durability. Durability will depend on how frequently you use the controller, but generally speaking a more expensive controller will last longer. This is something that you should keep in mind. If you are on a budget then getting the cheaper option might be the best option for you but if you are looking at this as a long-term investment then spending a bit more on a better controller might be a better thing to do.